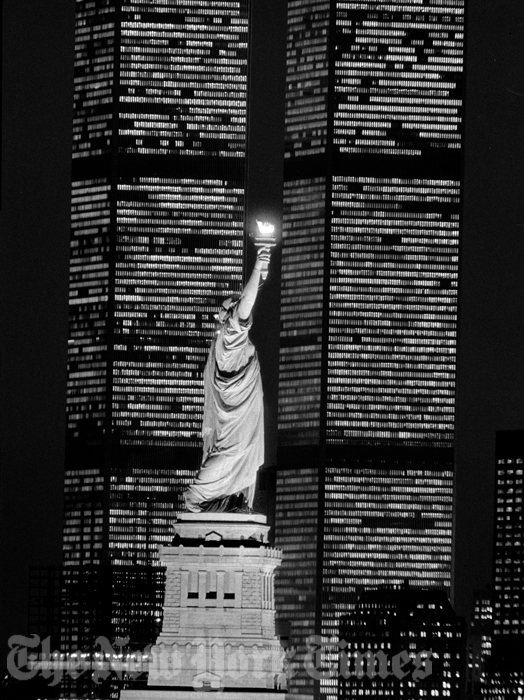 When this photo was taken in 1983, the World Trade Center in New York was celebrating its 10th birthday, and the Statue of Liberty was preparing to celebrate its 100th birthday. The two landmarks seen together created a stunning image of New York at night. Inconceivably, the 110-story World Trade Center towers, the world’s tallest buildings shortly after they were completed, were destroyed by terrorist attacks on September 11, 2001. © Fred R. Conrad/The New York Times Photo Archive.